The gaming industry is exploding in popularity, as more and more people flock to get their hands on the latest gaming desktop or console. So, it is not surprising to find that the prospect of earning money on streaming services like YouTube and Twitch has become more attractive to gamers. 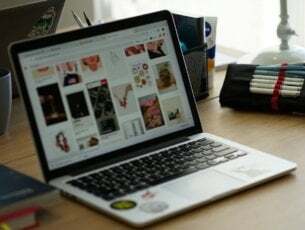 If you are one of these people looking for online fame, online source of income, or simply a way to record you and your friend’s random funny moments, then you will need a desktop capturing software. To help you sort through the hordes of video capturing software available on the internet, we compiled a list to make your search for reliable desktop recording software an easier one. Below are 6 of the best Windows 10 desktop and audio recording software for gaming. 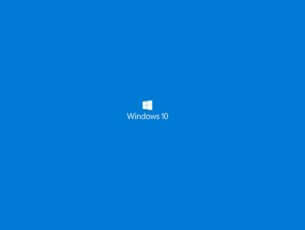 An ideal video capturing software for streamers should be able to run on Windows 10, have audio capturing capabilities, and record at high resolutions and high fps. Thus, expect all of the software in this list to offer these features. Each and every one of these applications also offer an unique capability that sets them apart from the rest. AMD GPU users will have access to this fast and easy-to-use Windows 10 desktop and audio recording software for gaming. With this program, gamers can relive their greatest moments, funniest game play, and hard fought wins all with an extremely easy to access toolbar. You can access ReLive in the AMD Radeon settings program. Make sure, this program is up to date as older versions do not have ReLive. ReLive features a toolbar that can be opened in game simply by pressing alt-z (default setting). On this toolbar, you can access features such as instant recording, streaming, or screen shots. Users also have the option to further customize his/her desktop recordings using the settings option on the toolbar. In the settings option you have the ability to mute/unmute your mic, turn on/off instant replay, change the position of your recording indicator, change or turn off your webcam position if you are using one, and more. Each and every one of these settings comes with a hotkey that can be customized in the AMD Radeon settings program. Perhaps the one thing that sets ReLive from other desktop recording software on the market is that it is incredibly lightweight. In other words, the program only takes a small amount of processing power to operate, which in turn only slightly affects your fps. In fact, Radeon claims that their desktop capturing software only has less than 5% impact on the most demanding games on the market such as Battlefield 1, H1Z1: King of the Hill, etc. Users also have the ability to adjust recording resolution, fps, encoding type, audio bit rate, and more. You can also record in 4k and 60 FPS. Streaming and overlay customization are also available on ReLive. Radeon ReLive is completely free. Users also do not have to register online to access the program. Unfortunately, only AMD graphic card users can use this software. Shadowplay is the direct competition to AMD’s ReLive. 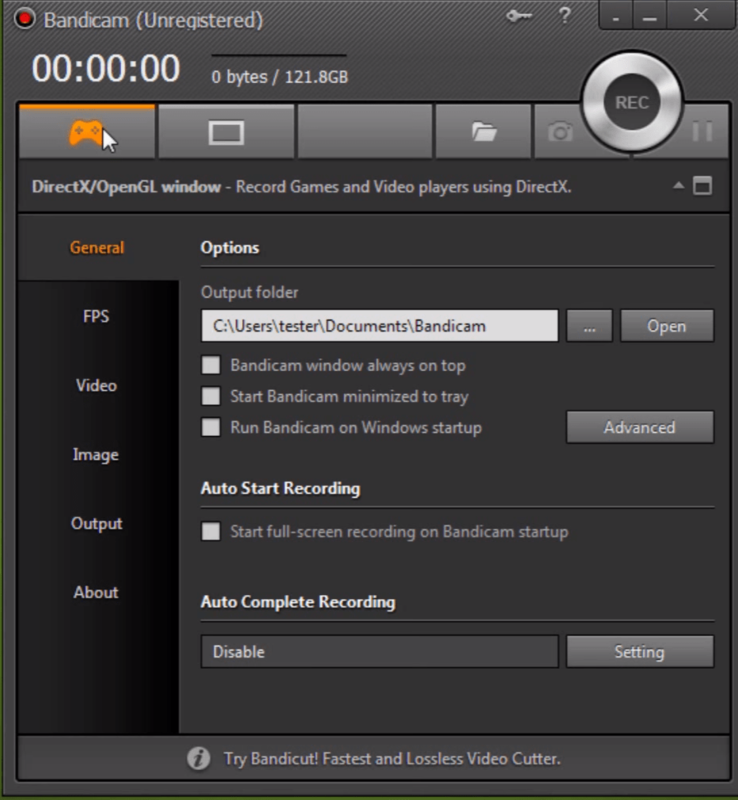 This Windows 10 desktop and audio recording software for gaming has many similar features to Radeon Relive such as streaming capabilities, screenshots, customization, instant toolbar, etc. You can also capture all of your highlights in 4k resolution and 60 frames per second. However, it does contain several features that Raedon ReLive does not have. For example, the extremely popular game called ‘Playerunknown’s Battle grounds’, also known as PUBG, contains a special feature that allows Shadowplay to capture highlights of the game such as kills, deaths, knockdowns, and of course wins. It is unique feature that allows users to easily find their best gameplay moments in PUBG. Not only is it convenient, but it also saves hard drive space on your PC as you do not have to record games that typically last around half an hour. All in all, Shadowplay is a top of the line software that will leave not leave users unsatisfied. It has an interface that is both modern looking and easy to use. However, just like Raedon ReLive, this program is exclusive. 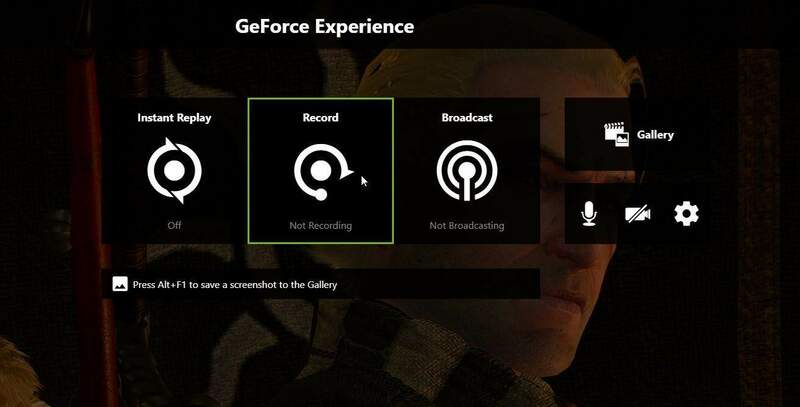 Only Nvidia graphics card users have access to this Windows 10 desktop and audio recording software for gaming. Also known as OBS, Open Broadcaster is an unique desktop capturing tool that can be used for gaming and streaming purposes. The special thing about OBS is that it is an open-source program, which means that anyone can modify and enhance the software. So naturally, a program like this will have a ton of customization options. In fact, this program far exceeds the previous two programs in terms of features. 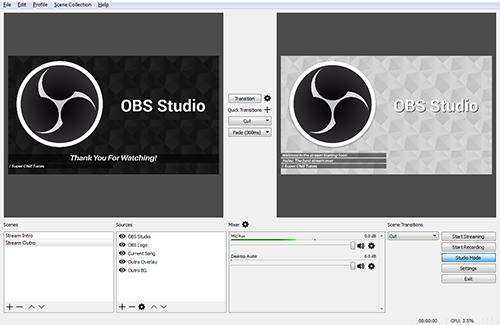 Because of its numerous features, OBS can double as a video editing program. In other words, features like color correction, image masking, color keying, etc, gives the user a good deal of freedom to perfect his/her gameplay videos. Similar to any good video editing program, OBS also has a highly effective audio mixer that allows users to filter their video’s audio by using sound suppression, gain, noise gate, and other qualities. Perhaps the only downside to Open Broadcaster Software is its interface. While the interface is user friendly, it is not exactly attractive. Furthermore, many casual users will probably not use the many features that come with OBS. Thus, this program is recommended more for professional and serious users rather than casual users. It is no secret that recording videos typically take a good deal of hard drive space. Fortunately, Bandicam has a built in feature that allows user preview (opens in a new window) to produce compressed, small sized video files without sacrificing on quality. This is obviously a highly useful tool as users will not only have more SSD or HDD space, but the videos will also upload faster to sharing websites. Nevertheless, there are of course drawbacks to this application. First of all, it is not free. Second, it does not offer as many features as the other software mentioned in this list. There is a free trial if you are unsure whether or not you want to use this program. Users will have to shell out $39 for the license of this program. Windows 10 game bar and Action! are two Windows 10 desktop and audio recording software for gaming that provide unique features. Windows 10 game bar as the name suggests, is already integrated into your Windows 10 system. Users, may have to adjust the settings a little in order to get it working. It offers many of the basic desktop capturing features, but falls short compared to the other software in this list. 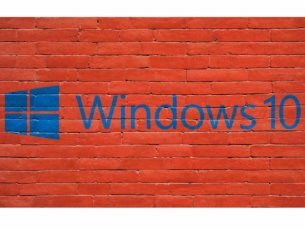 Users who do not wish to download a third party program should use Windows 10 game bar. On the other hand, Action! is a payed service that allows users to accelerate their recordings by consuming GPU power, which will put less pressure on your PC’s CPU. So, this program is really only ideal for individuals who play CPU intensive games or have a CPU that bottlenecks their PC’s performance. 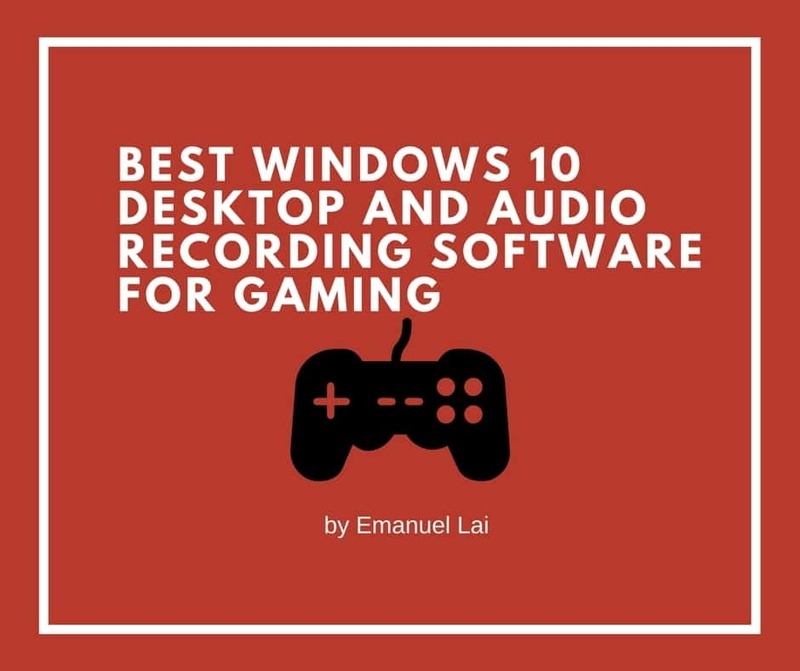 Here you have it, the top Windows 10 desktop and audio recording software for gaming. A better understanding of what each program has to offer will hopefully help you choose the software that is ideal for you.